It has been established, time and again, that when it comes to sports, women are no less than the men. 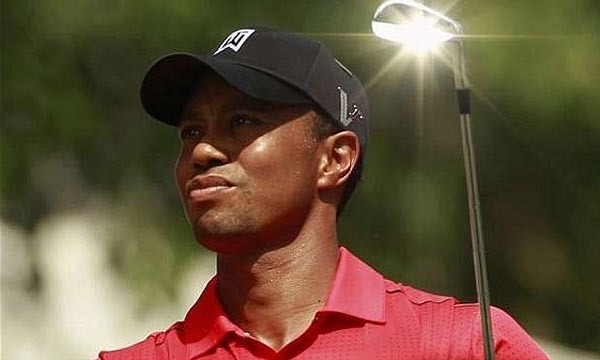 There’s hardly any sport which the men can boast to be solely their domain any more. Women have proven to be powerful, tenacious and skillful, both physically and mentally, and have displayed Great Spirit of sportsmanship and fair play in different sports. Even in a game like football which requires immense power and constant athleticism, women have shone. Every football-playing nation has a women’s team, and these teams work rigorously to match up to international standards. Let us look at the 10 Best Female Football Teams. The United States women’s national football team is currently ranked the best in the world by the FIFA Women’s World Rankings, with 2185 points as of 19th September 2014. 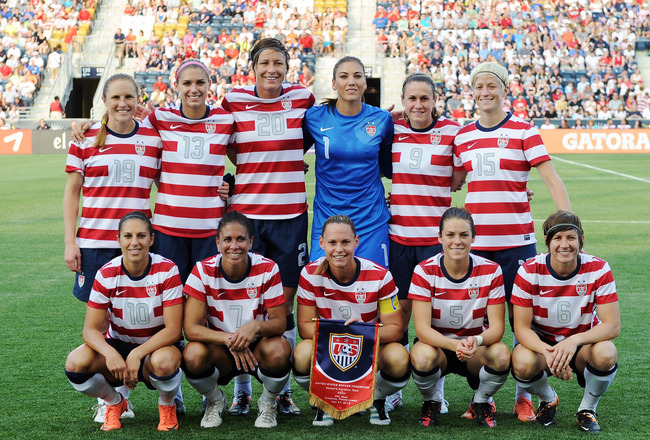 Besides participating in the Women’s FIFA World Cup, the team is also involved in CONCACAF. The United States women’s team earned the FIFA Women’s World Cup twice in 1991 and 1999. The team also won the Olympic women’s gold medals four times in 1996, 2004, 2008 and 2012. They became the champion of the Algarve Cups a record nine times from 2000 to 2013. The United States women’s national football team was selected as the Team of the Year in 1997 and 1999 by the U.S. Olympic Committee. The entire women’s team of United States was named Sportspeople of the Year 1999 by the Sports Illustrated. The Germany women’s national football team is currently ranked the second best in the world by the FIFA Women’s World Rankings, with 2179 points as of 19th September 2014. The national team played their first international match in 1982 and is currently directed by the German Football Association. 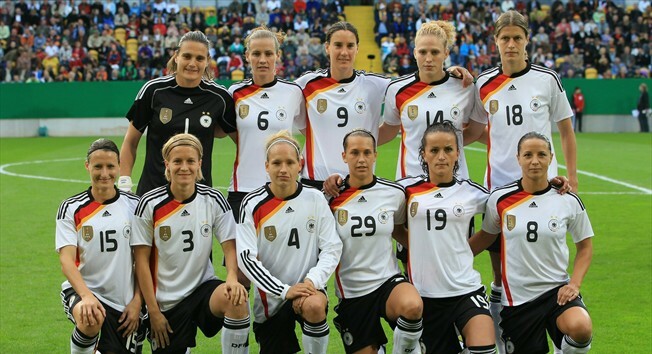 The Germany women’s national football team has won the FIFA Women’s World Cup twice in 2003 and 2007. They achieved the title of the UEFA European Championships eight times out of eleven times the championship was organized. The team also achieved the bronze medals at the Women’s Olympic Football Tournament three times in 2000, 2004 and 2008. The team is often called the Die Nationalelf or The National Eleven. The Japanese women’s national football team is currently ranked the third best in the world by the FIFA Women’s World Rankings with 2081 points as of 19th September 2014. The team is controlled by the Japan Football Association. After they defeated the United States women’s team at the FIFA Women’s World Cup Final in 2011, they became the first ever Asian team to win the FIFA Women’s World Cup. They appeared in FIFA Women’s World Cup seven times till date. The Japanese women’s national football team achieved the title of 2014 AFC Women’s Asian Cup. The team also often referred as the Nadeshiko Japan. Norio Sasaki is currently serving as the head coach of the Japanese women’s national football team and Aya Miyama is the current captain of the team. 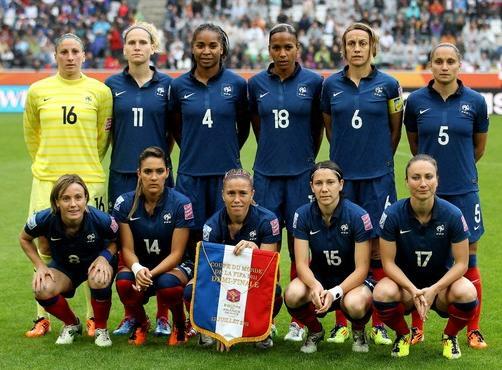 The French women’s national football team is currently ranked as the fourth best team in the world by the FIFA Women’s World Rankings with 2067 points as of 19th September 2014. The team competes as a member of UEFA and is currently regulated by the French Football Federation. Besides participating in FIFA Women’s World Cup, the team also competes in UEFA Women’s Euro cup and the Algarve Cup. The French women’s national football team has reached two of the three quarter-finals in the European Championships since 2000. Philippe Bergeroo is currently serving as the head coach of the French women’s national football team and Wendie Renard is the current captain of the team. The team captured the title of the Cyprus Cup in 2012. 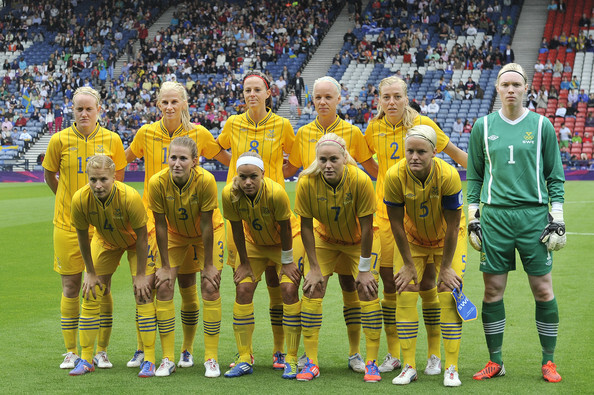 The Sweden women’s national football team is currently ranked as the fifth best team in the world by the FIFA Women’s World Ranking, with 2021 points as of 19th September 2014. The team became the runners up at the FIFA Women’s World Cup in 2003 and became the second runner-up in 2011. The Swedish women’s team has won their first and only European Competition for Women’s Football in 1984. The Sweden women’s national football team reached the finals of the European Cup three times till date in 1987, 1995 and 2001. Pia Sundhage is currently serving as the head coach of the Sweden women’s national football team and Lotta Schelin is the current captain of the team. The team uses the Gamla Ullevi as their home ground. The Brazil women’s national football team is currently ranked as the sixth best team in the world by the FIFA Women’s World Rankings with 2002 points as of 19th September 2014. The team played their first international match against the United States on July 22, 1986. The Brazil women’s national football team achieved the second place in FIFA Women’s World Cup 2007 and achieved the second runners up position in the 1999 FIFA Women’s World Cup. They became the runner-up of the Women’s U.S. Cup twice consecutively in 1998 and 1999. 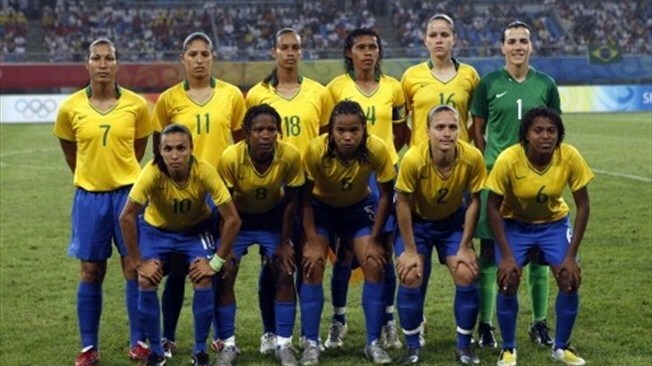 The Brazilian women’s team also received the silver medal in the Olympic Games twice in 2004 and 2008. Vadão is currently serving as the head coach of the Brazilian women’s national football team and Bruna is the current captain of the team. The England women’s national football team is currently ranked as the seventh best team in the world by the FIFA Women’s World Rankings, with 1994 points as of 19th September 2014. Mark Sampson is currently serving as the head coach of the Brazil women’s national football team. The team is currently controlled by The Football Association and played their first international match against Scotland in November 1972. The English women’s team reached the quarter final stage on each occasion they qualified for the FIFA Women’s World Cup in 1995, 2007 and 2011. The team also became the runner up in the UEFA Women’s Championships twice in 1984 and 2009. The top scorer for the English national team is Kelly Smith with her 45 international goals. 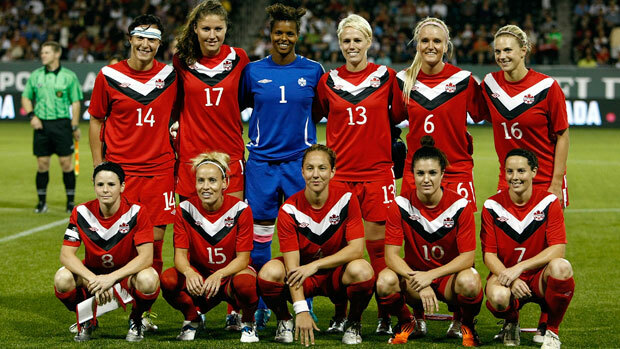 The Canadian women’s national football team is currently ranked as the eighth best team in the world by the FIFA Women’s World Rankings, with 1970 points as of 19th September 2014. The team is currently regulated by the Canadian Soccer Association and will be the host team of the 2015 FIFA Women’s World Cup. John Herdman is currently serving as the head coach of the Canadian women’s national football team and Christine Sinclair is the current captain of the team. They won the title of the CONCACAF Women’s Gold Cup championships twice and also received the bronze medal at the 2012 London Olympics. The Canadian women’s national football team reached the semi-finals in the 2003 FIFA Women’s World Cup. The Norwegian women’s national football team is currently ranked as the ninth best team in the world by the FIFA Women’s World Rankings with 1960 points as of 19th September 2014. Even Pellerud is currently serving as the head coach of the Norway women’s national football team and Ingvild Stensland is the current captain of the team. The team is currently regulated by the Football Association of Norway. The Norwegian women’s football team made six appearances at the FIFA Women’s World Cup, and became the champion in 1995. The team also won the UEFA Women’s Championship twice in 1987 and 1993. The team finished at the first position of the Group 3 of UEFA Women’s Euro 2013 qualifying. The Australian women’s national football team is currently ranked as the tenth best team in the world by the FIFA Women’s World Rankings with 1957 points as of 19th September 2014. Alen Stajcic is currently serving as the head coach of the Canadian women’s national football team and Clare Polkinghorne is the current captain of the team. The governing body of the team is Football Federation Australia and is the member of Asian Football Confederation. 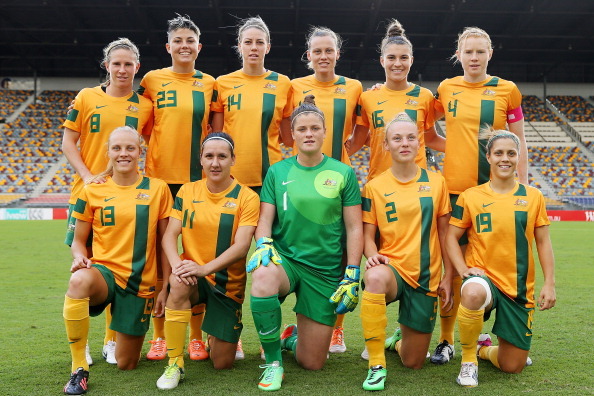 The Australian women’s team was nicknamed the Matildas taken from the song widely popular folk song Waltzing Matilda. The team won the Oceania Cup three times in 1995, 1998 and 2003. The team also became the winners of the Asian Cup in 2010. The women’s teams bring to their nations the same pride as the men’s teams do, with every award they win and every great game they play. They deserve as much respect and attention as the men do. It is the responsibility of the nation, the media and the people to ensure that the women footballers receive their due share of encouragement and appreciation, so that they can move forward and present the sports history with greater moments.